The Congressional Oversight Panel says the government overpaid for distressed financial assets and shares last year. 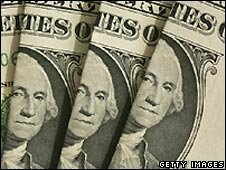 It says the US Treasury paid $78bn (£53bn) more than it should when buying stakes in banks through the $700bn Troubled Assets Relief Program (Tarp). The Treasury had paid $254bn in 2008 in return for shares in a number of troubled financial institutions. The findings may influence Congress when it considers how to spend the remaining $350bn in bail-out funds. The oversight panel was established in October 2008 to "review of the state of financial markets and the regulatory system", and to measure how effectively the government bail-out programmes were working to correct the problems. The new US Treasury Secretary, Tim Geithner, is expected to bring fresh proposals to Congress next week, outlining how the new administration wants to spend the rest of the bail-out money. He is likely to accept that more of the bail-out money needs to go to help struggling homeowners and small businesses, releasing some of the money given to the banks. And the administration has already signalled that it will introduce tough new limits on executive pay for banks that receive additional bail-outs. With the US financial sector still troubled, there have been calls for additional funds to be made available. But Democratic Senator Evan Bayh said that "there will be no additional funding for this programme without airtight assurances that it will be better managed". The US House of Representatives passed the $700bn government plan to rescue the US financial sector in October last year, having rejected an earlier version of it. The package was aimed at buying up the bad debts of failing financial institutions on Wall Street. But it was rapidly switched to supplying additional capital to the banks, on terms that were not fully disclosed at the time. Many members of Congress have been unhappy with how the distribution of Tarp funds has been handled. The head of the oversight panel, Elizabeth Warren, told a congressional committee that after three months on the job, her panel is still not getting enough answers from the Treasury. She described the bail-out as "an opaque process at best".